Paris Fashion Week's street style scene has been switched on for all of about three seconds, and we've already fallen in love with countless outfits from our favourite French girls. Jeanne Damas is wearing sandals (you read that right: sandals) in the snow and still doesn't look like a fashion victim. In fact, we're more focused on the tailored camel blazer she's wearing, as it seems like a wise spring investment. Then there's the Dior crowd—all berets, tulle skirts and cosy ponchos. 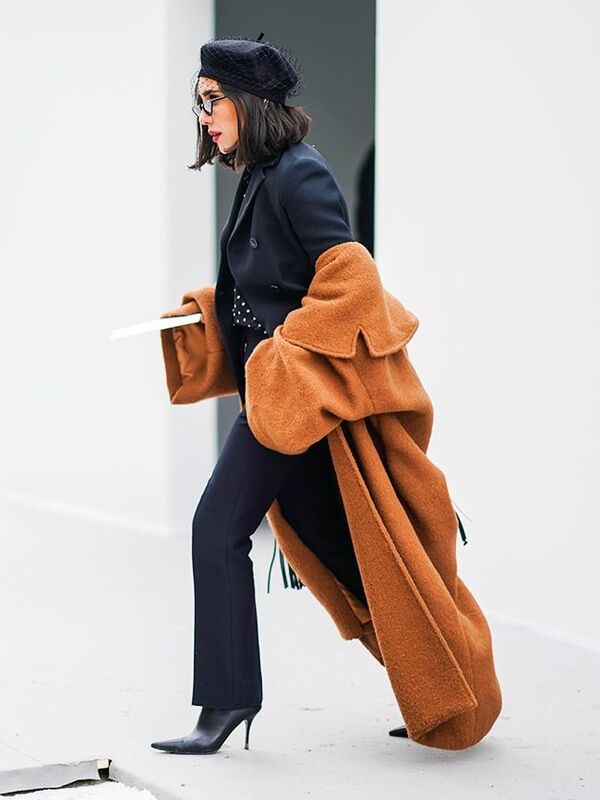 New and fresh layering ideas come from the likes of Aymeline Valade (thanks for the tip-off on polka-dot socks worn with brogues) and plenty of validation as to why it's totally okay to still invest in a winter coat in March. This weather is crazy, but our wardrobes are not. Especially when you've got great Parisian inspo like this.